Assistant Security Inspector: Applicants who have completed Graduate Degree from recognized University or equivalent from a recognized Institute for GSRTC Recruitment 2018. Assistant Traffic Inspector: Applicants who have completed Graduate Degree from recognized University or equivalent from a recognized Institute for GSRTC Recruitment 2018. Assistant Traffic Superintendent: Applicants who have completed Graduate Degree from recognized University or equivalent from a recognized Institute for GSRTC Recruitment 2018. Junior Accountant: Applicants who have completed Graduate Degree in Commerce from recognized University or equivalent from a recognized Institute for GSRTC Recruitment 2018. Junior Assistant: Applicants who have completed Graduate Degree from recognized University or equivalent from a recognized Institute for GSRTC Recruitment 2018. Security Assistant: Applicants who have completed 10+2 Pass or equivalent from a recognized Institute for GSRTC Recruitment 2018. Senior Accountant: Applicants who have completed Graduate Degree in Commerce from recognized University or equivalent from a recognized Institute for GSRTC Recruitment 2018. Senior Assistant: Applicants who have completed Graduate Degree from recognized University or equivalent from a recognized Institute for GSRTC Recruitment 2018. Store Keeper: Applicants who have completed Polytechnic Diploma in Mechanic or equivalent from a recognized Institute for GSRTC Recruitment 2018. Traffic Controller: Applicants who have completed SSC Exam Passed. (10+2 Pass and 12 Pass) or equivalent from a recognized Institute for GSRTC Recruitment 2018. Traffic Inspector: Applicants who have completed Graduate Degree from recognized University or equivalent from a recognized Institute for GSRTC Recruitment 2018. Clerk: Applicants who have completed SSC Exam Passed. (10+2 Pass and 12 Pass) or equivalent from a recognized Institute for GSRTC Recruitment 2018. 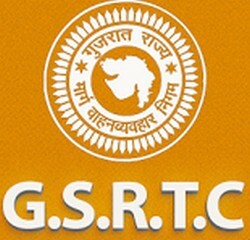 Eligible & Interested candidates can apply via online in Official website page at www.gsrtc.in GSRTC Recruitment 2018. Take a print out of GSRTC Recruitment 2018 online application form.